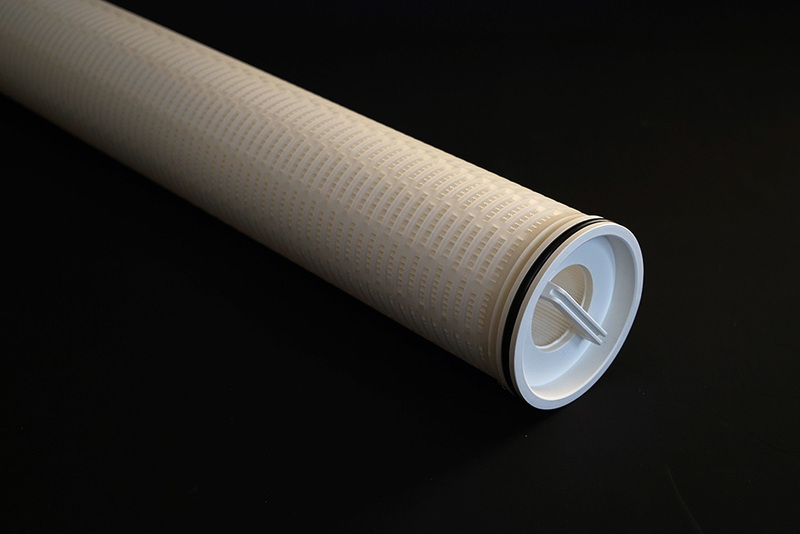 The DHFPA-serie Filter Cartridge is designed to allow a high contaminant holding capacity. The specially selected polypropylene and borosilicate glassfiber material provides the unique combination of high flow rate (114m3/h), high dirt holding capacity, low pressure drop, increased surface area at absolute rating of beta 5000 (99.98%removal) and a wide rang of micron ratings (0.5-90 micron). The unique layered construction combined with a rigid case construction provides a high strength and security to withstand the harsh requirements of the Oilfield Industry. All components are thermally bonded, allowing operations at higher temperature, pressure and make the cartridge compatible with most fluids and additives in the industry.